Your abdomen is home to a number of important organs. Since your abdomen has so many vital parts, abdominal pain could be attributed to a number of different ailments, depending on the location of your pain. If you have abdominal pain on your right side, there are multiple conditions that could be the cause. Take note of your specific symptoms and where in your body they take place. Sometimes the cause of your right side abdomen pain could be as simple as constipation. This is when you are having a difficult time moving your bowels due to hardened feces. Constipation may be treated with over the counter medication sometimes. If your constipation continues or if you have other symptoms, you may need to see your doctor for additional treatment. 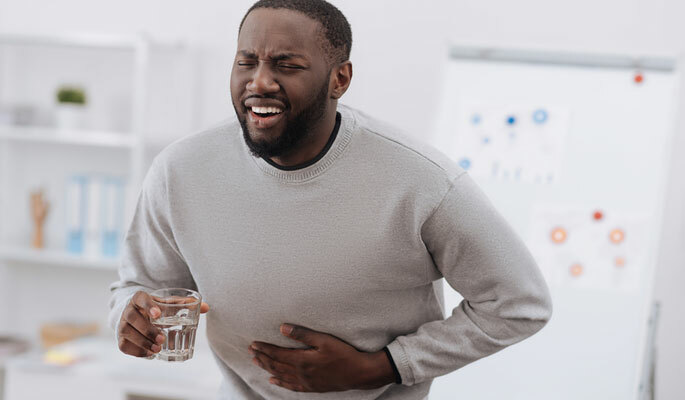 A stomach ulcer is when the lining of the stomach, esophagus or small intestine develops a sore after the lining gets damaged from acid in the stomach. Possible treatments for stomach ulcers could include antacids or possibly antibiotics. Other treatment options could include additional medical procedures if your doctor deems it necessary. Gallstones take place when the gallbladder forms small, hard deposits of digestive fluid. The deposits cause the gallstones and the gallstones can cause you discomfort. If you have gallstones with symptoms, you may have to get your gallbladder removed. Check with your doctor to see if gallbladder removal is necessary. If your appendix becomes inflamed, it causes appendicitis. It is important to know the signs of appendicitis, because it can be very serious if left untreated. Appendicitis could cause your appendix to burst, which could be fatal. Treatment could include antibiotics or an appendectomy, which is surgery to remove your appendix. Talk to your doctor right away. These are just some of the potential causes of pain in the right side of your abdomen. Since there are so many potential options, professional medical help is the only way to know for sure what you are facing. Get to the doctor and you will get a diagnosis and treatment plan to help you feel better.